Welcome to the 672nd Edition of my series. Today is the start of our annual movie and tv contest called the Madness. Much of us came together during the days of Myspace and started this contest and I'm proud to say I'm one of the founding fathers after 11 years. I have never won this contest and likely never will. Each year we have a different theme and what comes along with our theme are the wild card names which are usually actors and directors where anything counts for minimum points. Through the years I have earned the nickname "King of the Loophole" where I have managed to make movies like THE GODFATHER PART 1 and 2, TITANIC, THE ASSASSINATION OF JESSE JAMES BY THE COWARD ROBERT FORD, ROCK OF AGES, BLUE CHIPS, MUSIC OF THE HEART, and many others along these lines count. This year there will be more so stay tuned for next week where I put out my usual segment in addition to what I have done for the Madness. I will get on with my selections now. 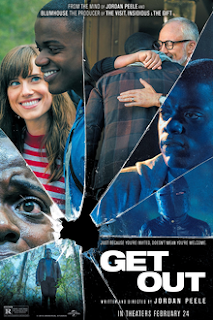 Get Out (2017): I start the week out with this horror hit from last year. Jordan Peele wrote and makes his directorial debut. Daniel Kaluuya stars as young black man Chris Washington who is set to go with his girlfriend Rose, played by Allison Williams, to meet her white family. As he gets to know the friends and family, they seem to be okay with the interracial relationship but he starts to see they are becoming too friendly and finds he is in more of a nightmare. Catherine Keener, Bradley Whitford, Caleb Landry Jones, Marcus Henderson, Betty Gabriel, Lakeith Stanfield, LilRel Howery, Ashley LeConte Campbell, and many others co-star in this independent film. This is more psychological horror than anything. This has a very creepy feel to it and brings it in gradually. Peele makes a great debut as a director. Kaluuya also does good as the protagonist in the film. Also, a good social commentary with race. This is a really good horror film that lived up to the hype in my opinion. 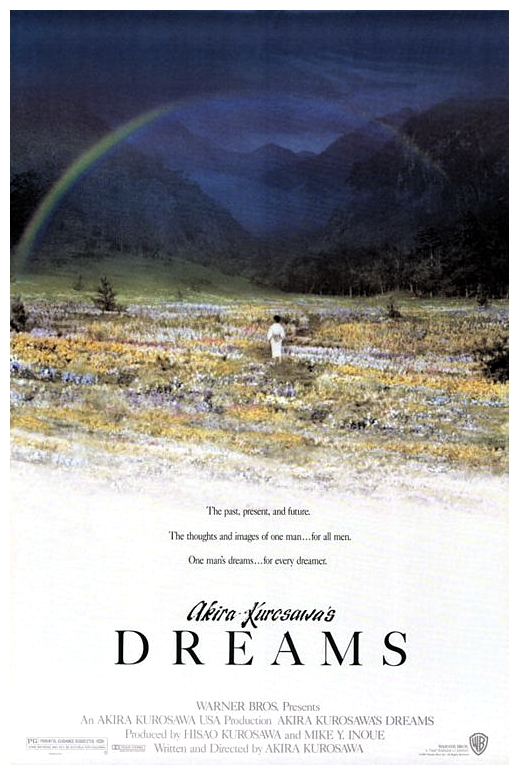 Dreams (1990): Akira Kurasawa directed this film that is a fantasy of eight short stories of things that Kurasawa has dreamed in his life. These are all very complex and diverse stories that are very compelling and at times disturbing. I have seen a few of Kurasawa's films through the year and I think I enjoy this later one of his the most. I like the multiple stories and the visuals in this film. Martin Scorsese makes a rare acting appearance as Vincent Van Gogh in a dream where we are taken into the art world of Van Gogh's paintings. 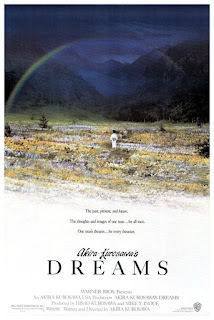 This is a very visually stunning film and pretty easy to follow. 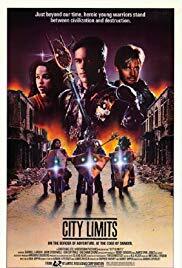 City Limits (1984): This is an MST3K selection that takes place in the not so distant future that has wiped out much of the populations and in a time that biker gangs are on the rise. John Stockwell stars as Lee who has been accepted into one of the gangs but things become complicated when the evil Sunya Corporation wants to utilize the gangs for their own purposes. Rae Dawn Chong, James Earl Jones, Kim Catrall, Don Keith Opper, Norbert Weisser, Kane Hodder, John Diehl, Robby Benson, and many others co-star in this sci-fi movie. This was a good selection from the MST3K guys as it had a pretty bad script along with the acting and dialogue. The episode had a pretty funny parody on Morrissey, as much as I am a fan of his, I had to absolutely laugh at that one. Not one of the best choices of these actors but it made for a good MST3K episode which is available on Hoopla Digital. 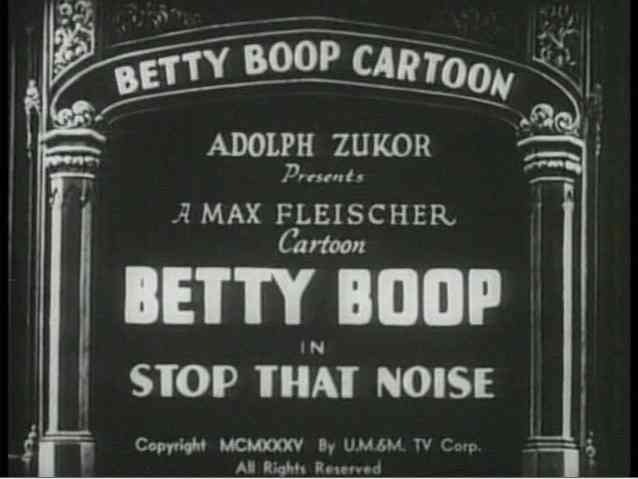 Stop That Noise (1935): This is my animated short for the week which features Betty Boop. In this one, Betty is in her apartment and hearing all kinds of noise around her like road construction. In hopes of getting away from it, she retreats to her country home, only to have it just as bad in the way of the insects. This was a pretty funny short of Betty just trying to find peace but not being successful. 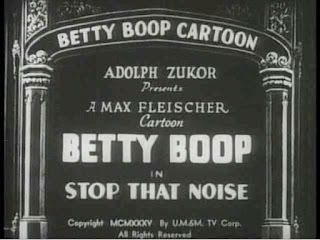 This is available on Amazon Prime as part of "Betty Boop- Vol. 1: 22 Cartoon Classics." 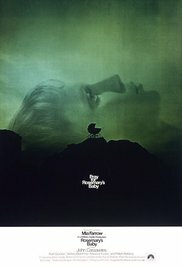 Rosemary's Baby (1968): Roman Polanski directed this film based on the novel by Ira Levin. Mia Farrow and John Cassavetes star as married couple Rosemary and Guy Woodhouse. They move into an apartment building in New York where Rosemary is determined to have a child while Guy struggles with his acting career but soon she finally gets pregnant. 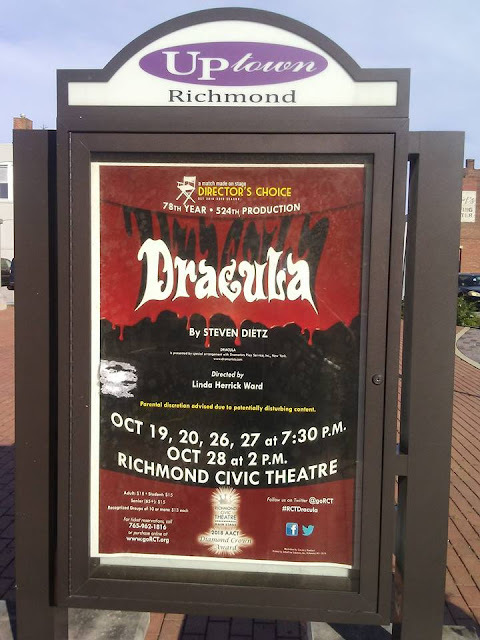 As the pregnancy goes along, Rosemary finds herself shut off from her neighbors and sees hints of a sinister conspiracy leading into quite the climax. Ruth Gordon, Sidney Blackmer, Maurice Evans, Ralph Bellamy, Victoria Vetri, Patsy Kelly, Elisha Cook Jr., Emmaline Henry, Charles Grodin, and many others co-star in this film. This still remains quite the horror masterpiece and does a great job leading into the climax. The author Levin has cited to really like this adapation of his novel saying it was very faithful to his book. This is the perfect movie to watch this time of year and at all times for that matter. The Thing From Another World (1951): Christian Nyby directed this film based on a story by John W. Campbell Jr. This takes place in the arctic where a group of scientists are doing research and discover a spacecraft buried in the ice and discover a frozen pilot which would turn out to the be title character, played by James Arness. When accidentally thawed, the humanoid wreaks havoc among the Arctic and the people on the island must find a way to stop him. 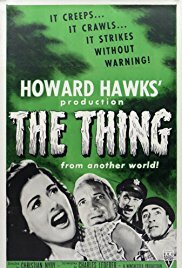 Margaret Sheridan, Kenneth Tobey, Robert Cornthwaite, Dougas Spencer, James Young, Dewey Martin, and many others co-star in this classic sci-fi horror film. This is a film that has inspired a bit of a franchise through the years. Many horror directors of today cite this one as an influence so check out this very significant movie the sci-fi and horror genre. This is available to watch on Filmstruck until October 5th of this year. 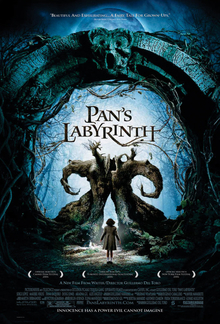 Pan's Labyrinth (2006): Guillermo Del Toro wrote and directed this dark fantasy film that takes place in 1944 Spain. Ivana Baquero stars as Ofelia who must move with her pregnant mother to live with her sadistic stepfather Vidal, played by Sergi Lopez, a ruthless captain of the Spanish army. Ofelia meets a fairy which leads her to an old faun, played by Doug Jones, who informs her she is a princess but must to some very gruesome tasks to prove her worth and royalty. Maribel Verdu, Ariadna Gil, Alex Angulo, Manolo Solo, Cesar Vea, Roger Casamajor, Ivan Massague, and many others co-star in this film. In addition to Fauno, Jones also plays the part of the Pale Man proving he is quite possibly the master of prosthetic. This is fantasy and focuses a lot of fairy tales but is very adult oriented and if you have a weak stomach, this is not the one to watch. If getting past the grotesque imagery, this is a very well-written and compelling film to watch. Multiple Maniacs (1970): John Waters wrote and directed this really weird crime comedy and anyone who has seen John Waters, especially the older work like this one knows his movies are not for all taste. Divine stars as Lady Divine who is part of "Lady Devine's Cavalcade of Perversions" which are really part of a crime group. I don't really know how else to describe this movie. Much of the Waters alums are in this movie. 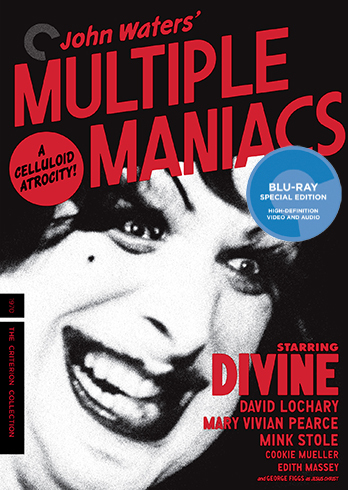 I would suggest to look into the background of John Waters before checking out this movie. The Seventh Seal (1957): Ingmar Bergman wrote and directed this Swedish film. Max Von Sydow stars as Antonius Block who is a knight of the crusades during the time of the Black Death and seeks questions on life, death, and the existence of God. Bengt Ekerot co-stars as Death who lets Block know it is his time and is challenged by Block to a game of chess for his life and to delay his death. This is one of the most iconic Bergman films and one of the most iconic images in film with Block and Death playing chess with each other. This is another that is really hard to put into words. Essentially this is an analysis on life and death and through Bergman's own Agnosticism. This is available to watch on Filmstruck. 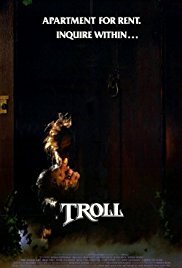 Troll (1986): I end the week with this horror comedy. The Potter family, played by Michael Moriarty, Shelley Hack, Noah Hathaway, and Jenny Beck, moves into an apartment complex in San Francisco. It seems okay at first but the daughter Wendy, played by Beck, meets the wicked troll Tarok and inhibits her body using it in hopes to transform other tenants. Harry Jr., played by Hathaway and yes his name and dad's name are Harry Potter, feels something is not right with his sister and seeks help from the witch Eunice St. Clair, played by June Lockhart. Sonny Bono, Phil Fondacaro, Brad Hall, Julia Louis-Dreyfus, Anne Lockhart, and many others co-star in this movie. This is more of a guilty pleasure than anything. Bono has a very amusing role and Louis-Dreyfuss makes her film debut. This can be a very enjoyable Halloween movie if not taken too seriously. Well, that is it for this week. 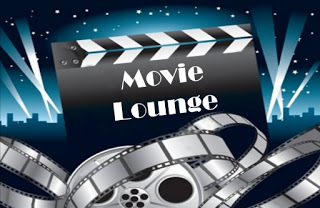 Tell me what you like and dislike and stay tuned for next week which so far includes James Franco, Ryan Phillippe, Lon Chaney Jr., Paul Sorvino, Steve Buscemi, Debbie Reynolds, and many others.